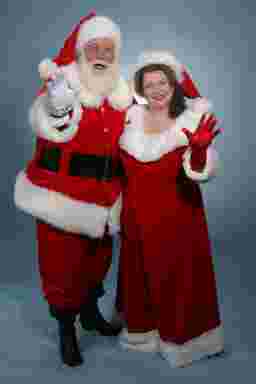 Hire Santa and Mrs. Claus to attend your special event. Perhaps you have a different idea? Available in the Fresno, Clovis & surrounding area throughout the Holiday season and beyond. The length of visit and specific activities will be tailored to your individual needs and requests. Now is the time to make your plans for a Christmas party with a Real Bearded Santa. Their schedule gets filled up fast. Don't miss out. Schedule soon!